Sometimes, in this very old country of ours, even a simple afternoon’s walk out along the river can come up with some rewarding historical data relating to the Middle Ages and the Wars of the Roses period. Recently I went for a walk near the Wiltshire Avon, from Figheldean to Netheravon, taking in two little-known rural medieval churches, which proved to be of some interest. 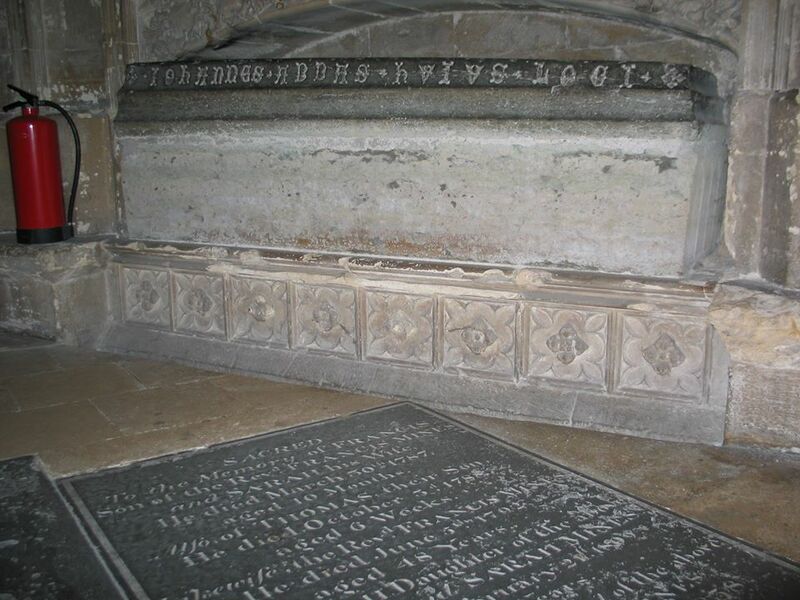 At the Church of St Michaels and All Angels, where the worn effigies of two unknown 13thc knights lie in the porch, having been brought there from a now-lost nearby church or chapel, the advowsen was held in 1485-1487 by Francis Stourton. Stourton was the son of John Stourton who attended Richard III’s Parliament when attainders were passed on the Duke of Buckingham’s rebels. Unfortunately for Baron Stourton, his brother–in-law, Sir William Berkeley, had actually joined the Duke’s Rebellion. Richard said he would pardon Berkeley as long as John Stourton came up with a bond of 1000 marks. He agreed to pay the bond–but unfortunately, ungrateful William Berkeley promptly shot off to Brittany to join Henry Tudor, leaving Baron Stourton with a hefty bill. In-laws, eh? One of the local manors, Alton Magna, also happened to belong at one time to the Earl of Warwick, Richard Neville. It is not certain how he aquired it, as it had descended with the Honour of Leicester from Simon de Montfort, to Henry Duke of Lancaster, Henry’s daughter Maud, then her sister Blanche, the wife of John of Gaunt. When Blanche’s son became Henry IV in 1399 the honour of Leicester passed to the Crown. Going along a pleasant leafy back road from Figheldean church, the traveller eventually comes to the village of Netheravon. Its church of All Saints has some similarities architectural qualities to that in Figheldean, including a very tall, stark tower. There was probably a Saxon church originally on site, and there is visible Norman work that survives, including a carving of beasts on the capital of an exterior pillar. 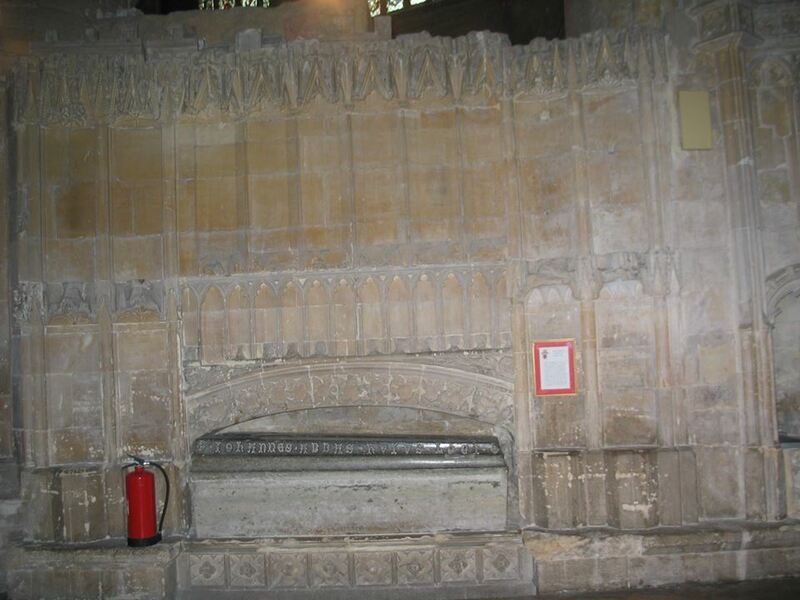 The church was a prebendal church and one of the prebendaries in the 15th c happened to be Thomas Rotherham,who was first Bishop of Rochester, then Bishop of Lincoln and finally Archbishop of York. He was Keeper of the Privy Seal for King Edward IV and was appointed Lord Chancellor. When Edward died, Rotherham unlawfully handed the Great Seal to Elizabeth Woodville, and hence lost his position as Chancellor. He was present at the council meeting where Lord Hastings was arrested and then executed, and was himself arrested as part of the conspiracy. He went to the Tower, but not for very long; he was soon released and continued to be a player on the scene. As at Figheldean, the manor of Netheravon was held by the Duchy of Lancaster, first half of it, then eventually the whole. At one point one of the halves was held by the notorious Hugh Depenser the Elder and his family during the reign of Edward II. Upon their downfall, Queen Isabella was granted the estate for life. However, when her son, Edward III, captured her and Roger Mortimer at Nottingham in 1330, Edward gave the estate to Edward de Bohun. Later, through Mary, wife of Henry IV, it became part of the Duchy of Lancaster. Other local Despenser lands went to the Earl of Salisbury, which may be how Richard Neville came to own a manor in Figheldean. Several local estates were also held by Sir William Beauchamp, husband to Elizabeth, suo jure Baronness St Amand; upon his death she held them jointly with her next husband, Sir Roger Tocotes. Sir Roger was a local landowner and sheriff who served George of Clarence for a while, but ended up as one of Buckingham’s rebels. There is one other interesting feature of Netheravon. As you pass down the lane near the church, you will see the name ‘Beaufort’ clearly affixed to a gate. The large, rather sombre mansion in the next field was owned by the Dukes of Beaufort -although not in medieval times, but rather from the middle of the 18th century, when the surname (Beaufort) and title (Somerset) were reversed. Their stately pile, built by one Henry Somerset, stands close to a Roman villa and is likely on the site of the medieval manor house of the Cormayles family. Treason is a terrible crime. It denotes a betrayal so wicked as to be unforgivable. In medieval England a traitor was executed with the maximum of corporeal pain and all his goods and chattels were forfeited to the crown, thus disinheriting his heirs and successors forever. Henry de Bracton a thirteenth century English jurist, held that it was ‘scarcely permissible for the (traitor’s) heirs to live’ since they too were contaminated by his deeds. Bracton, who had a penchant for Roman law, may well have been thinking of Imperial Roman practice. By the fifteenth century, treason, or more precisely the law of treason, was the legal-political tool of choice for kings and over ambitious subjects who wished to destroy each other. Acts of treason formed the backdrop of English history from Magna Carta until the Glorious Revolution. Kings have been destroyed and dynasties bought low by treason. This was especially true during the civil wars of the fifteenth and sixteenth centuries, which began and ended in treason. The Victorian historian Frederic Maitland was surely right to describe treason as a crime with a history all of its own. This is a story about treason; not the wicked type but the political treason of offending against the king’s most powerful subjects. In 1388, an English parliament condemned eighteen of the king’s closest ministers and advisors for such treasons. Their trials by the lords in parliament were controversial and raised several legal and constitutional issues of some consequence: including, the status of parliament, the judicial function of parliament, due process and parliament’s rights and privileges to conduct state trials. The trials also challenged the king’s prerogative to do as he liked. But above all, the Merciless Parliament was a catalyst for a chain of events leading to the deposition of an anointed king, which changed the course of English history. However, before I tell my story, it might be useful to explain a little about the concept of treason. Nowadays, treason is defined by the Treason Act 1351. Prior to the Act there was no universally accepted definition of treason, nor much distinction between treasonable offences and everyday felonies. The king’s justices sitting with a ‘grand’ jury had to construe whether or not a particular crime was treason on a case-by-case basis. Inevitably, there were inconsistencies of interpretation. The law was uncertain and arbitrary; many men went to a traitor’s death and forfeited their estates for offences that were not treasonable. The most obvious and best example of this is the general offence of accroaching royal authority. Essentially, this is a political offence and not obviously treason (though it would depend on the circumstances). In the reigns of Edward II and Edward III, the courts had a pronounced tendency to construe even minor common law accroaching as high treason. It was a practice that had destroyed many noble (and loyal) families. Predictably, there was an aristocratic clamour for a narrow, fixed definition of treason. In 1351, Edward III felt able to assent to a petition from parliament proposing the appropriate legislation. In the opinion of professor Bellamy, the Treason Act 1351 is second only to Magna Carta in its constitutional and legal importance. The Act itself raises many issues that I cannot explore in this article. From my perspective the two important points to note are: first, the conservative definition of treason, which viewed high treason entirely as offences against the monarch or the royal family (It is still treason to cuckold the heir to the throne.) and second, parliament’s reserved power to declare non-statutory treason in doubtful cases. The Merciless Parliament convened on the 3 February 1388 and sat for four months. It was the longest parliamentary sitting before the fifteenth century. Its common title derives from the fact that virtually all-parliamentary business was given over to a violent purge of the king Richard II’s advisors and household servants. The king was systematically humiliated; he was forced to witness the condemnation of his friend and he had no choice but to acquiesce in their doom. It was the nadir of his life thus far. Even though he was twenty-one he was prevented from exercising his royal authority or his prerogative, or even his royal grace to save at least one man from death. For all practical purposes he was still regarded as a boy and too immature to govern unsupervised. His royal authority and his royal prestige were in ruins. It was a trauma he never forgot. The situation in in 1388 has to be seen in the context of power struggle between a rebellious teenage king trying to assert his royal authority and his older councillors anxious to preserve their own status and influence. Richard was headstrong and clearly had an authoritarian vision of kingship. Even as a fourteen year-old, he had approved of the brutal reprisals taken against the rebels of 1381. He was called to book on at least one occasion for attempting to make the offence of treason a prerogative one. He was unfortunate to succeed to the throne at a time when England’s fortunes were in decline and when he was too young to be taken seriously. The failing war with France had resumed, the burden of taxation was excessive on those who could afford to pay it and the country was experiencing the socio–economic consequences of the Black Death. There was widespread social discontent, of which the Peasants’ Revolt of 1381 was the most extreme expression. Even so, there were concerns about his behaviour, and his readiness and ability to rule wisely with prudence. He preferred the advice of young fops to that of his ‘natural councillors’ and he longed to exercise personal rule. However, his ‘insolence’ and extravagance was such that far from allowing him personal rule, parliament was intent on clipping his wings. It was the parliament of 1385 and the ‘Wonderful Parliament’ of 1386 that set the scene for a showdown in 1388. Parliament’s efforts to control the burgeoning cost of the royal household and to install some fiscal discipline into the government began in 1385. They appointed a commission of twelve councillors to review the running of the king’s household and to reform the government’s finances. This was, in fact, a continuation of the minority council that ruled in the king’s name during his tender years; the problem was that Richard was now aged seventeen and well old enough by medieval standards to exercise personal rule. Richard accepted some of the proposed reforms with bad grace; but he rejected outright any attempt by parliament to curb his authority or prerogative. He pointed out that the running of the royal household and the appointment of ministers were matters for him alone and he would do as he pleased. Consequently, neither the king nor his ministers took any active steps to implement Parliament’s directions. It was a predictable reaction, but a foolish one since he needed the cooperation of parliament for his next grant of taxation. At some point he would have to summon them and they were bound to raise this issue. When Parliament next met, on the 1 October 1386, it was against the background of a threatened French invasion. William de la Pole, earl of Suffolk and the king’s Chancellor opened parliament by requesting a huge grant of taxation to meet the royal commitments. Unsurprisingly, the commons rejected this request and together with the lords petitioned ‘with one assent’ for Suffolk’s dismissal as Chancellor. Thomas duke of Gloucester Thomas earl of Warwick and Richard earl of Arundel were foremost among the lords demanding Suffolk’s dismissal. Once it became clear that Parliament’s intended to impeach Suffolk for dereliction of duty and embezzlement, the furious king retired to his palace at Eltham in ‘high dudgeon’, exclaiming that he would not sack a scullery boy at parliament’s request. The duke of Gloucester with Thomas Arundel bishop of Ely, travelled to Eltham to speak to him. Eventually, Richard was forced to return to parliament and to accept the dismissal and impeachment of his Chancellor, and the supervision of the continual council. It was only the scarcely concealed threat of deposition that convinced him to swallow his pride. The dismissal and impeachment of Suffolk was a direct challenge to the king’s royal authority and prerogative, which was compounded by the continuance of a minority council to supervise his rule. It was indeed a damning verdict by parliament on the king’s fitness to rule. The situation was all the more chastening since Richard’s ‘tender years’ were behind him: he was now twenty-one. Although he knew he had to bend to parliament’s will, the king never accepted their right to limit or even to question his regality in any way. He took every opportunity to promote his regality and to demean the ‘continual council’s’ status. Suffolk was released from custody and reinstated by Christmas, and the king moved the court to the midlands to avoid the council’s oversight. In August 1387 he summoned Chief Justice Robert Tresilian and his justices from the King’s Bench to meetings at Shrewsbury and Nottingham. He needed legal opinion on the actions of the Wonderful Parliament. There is nothing intrinsically unusual or sinister about Richard’s request for legal advice. The justices and particularly, the sergeants at law were continually providing the government with technical legal advice on procedural rules, and fiscal and feudal law. However, the ten questions, which were carefully drafted for the king by his personal lawyers were of an altogether different nature; they, went to the burning issue of the day: the king’s right to personal rule by prerogative and the subordination of parliament to the king’s will. They covered three main points: first, whether the appointment of the continual council was derogatory to the king’s regality, second, whether the king controlled parliament’s order of business and whether he could summon and dismiss it at his will, and third, whether the impeachment of Suffolk was lawful. The importance of this process and these questions lies in the king’s attempt to re-define a political problem as a legal one, for which (he hoped) his lawyers would provide a solution. The judges’ answers gave the king everything he wanted. The continual council was derogatory to the king’s regality and therefore unlawful. Furthermore, it was the king’s prerogative to choose his ministers, who were responsible to him and not to parliament. It was the king who set the order of business; nothing could be discussed or passed without his assent, and it was for the king to summon and dismiss parliament at his will. Finally, the impeachment of Suffolk was unlawful. The judges held back from actually declaring the actions of the Wonderful Parliament to be treason; though they did consider them to be capital offences punishable as traitors. This opinion was a complete vindication of Richard’s view of kingship and provided him with a ‘legal’ foundation for his revanche. Although the judges would later say that that were coerced into giving these answers, they seem, on the face of it, to have been given in good faith. Their interpretation of the law at that time is not obviously wrong. It would be difficult to argue as a matter of law that the continual council was not prejudicial to the royal prerogative, or that historically, it was not for the king to arrange the business of parliament, and that he might not dissolve it at his will, or that as the impeachment of the king’s officials had been repudiated in 1377, the judgement against Suffolk was invalid. These are opinions that any other lawyer trained in the common law might have given to the king if asked. The crisis occurred during the autumn/winter of 1387. Warned of the judges’ opinion  and their insinuation of treason, Gloucester, Warwick and Arundel combined their retinues near London and sought a meeting with the king. On the 17 November they told Richard of their intention to appeal Robert de Vere duke of Ireland, Michael de la Pole earl of Suffolk, Alexander Neville, archbishop of York, Robert Tresilian, Chief Justice and Nicholas Brembre erstwhile mayor of London, for treason. Richard set aside a date in February for parliament to hear the appeals. Shortly thereafter, Thomas Mowbray earl of Norfolk and Henry Bolingbroke earl of Derby joined Gloucester, Warwick and Arundel as the lords appellant. The speed and defiance of the lords appellant’s response panicked the king and his friends. De Vere went north to Cheshire, to raise a royal army, while the king remained at Windsor. After raising 3-4000 troops, de Vere moved south to rescue the king. Warned by their scouts of de Vere’s approach, the lords appellant intercepted and surrounded him at Radcot Bridge on the river Thames. In thick fog the royal army was routed. De Vere barely escaped to France with his life. Meanwhile, the earl of Suffolk and the archbishop of York fled to France. Richard, aware that de Vere’s defeat had ended his last hope of resisting the lords appellant, moved to the greater security of the Tower of London. There, on the 30 December they came to see him accompanied by five hundred soldiers. Although the main chronicles (Walsingham, Knighton and Westminster) differ on the detail, they agree about the main points discussed. Richard was reprimanded and possibly threatened with deposition. Eventually a modus vivendi was achieved preserving the king’s regality and serving the lords appellants’ purposes. However, the obscure Lancastrian chronicler of Whalley Abbey contradicts that version of events. 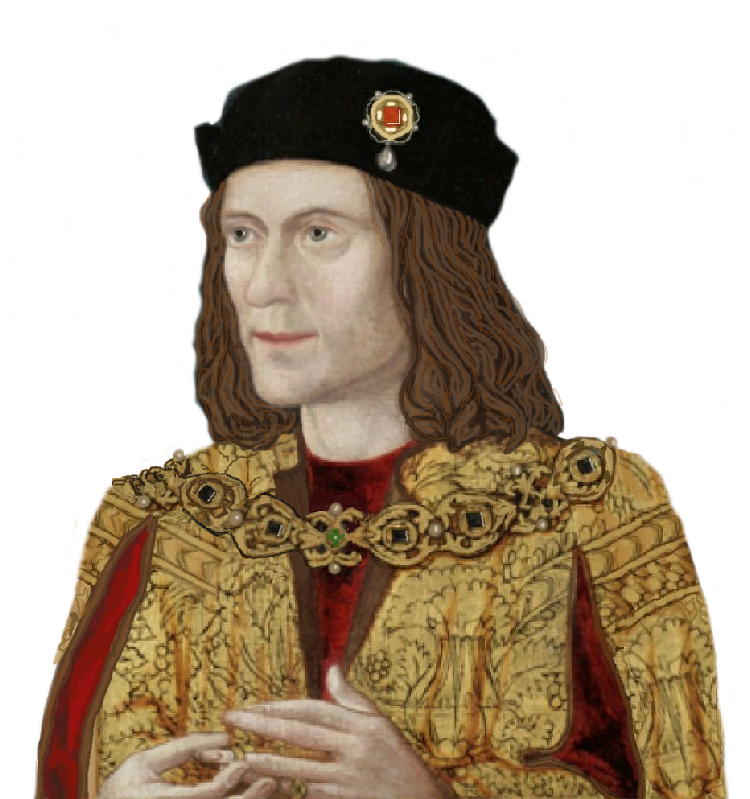 According to his narrative, Richard was ‘deprived of his throne’ for three days and was only reinstated due to a disagreement between Gloucester and Derby about the succession. Whalley is the only chronicler who describes Richard’s actual deposition; however, it is corroborated by Gloucester himself. In his signed confession, written in Calais shortly after his own arrest for treason in 1397. Gloucester, said this: “…insomuch as I was present when the question of deposition of my lord was discussed, I acknowledge that we did, for two or three days, agree to do this, but then we performed our homage and our oaths to him and restored him to as high estate as he had been previously.” In professor Saul’s opinion, the fact that ‘no letters for the last three days of December were entered in the close and pattern rolls’ suggests that Richard was probably deposed and a few days later he was restored to the throne. The trials began on the 3 February 1388. First up were the main appellees: Robert de Vere, William de la Pole, Alexander Neville, Robert Tresilian and Nicholas Brembre. Between them, they faced a total of thirty-nine articles containing the details of their offences. Four articles related to their undue influence over the king; thirteen, alleged that they abused their power for personal gain by taking advantage of the king’s tender years; fifteen, alleged that they encouraged the king to defy his natural councillors and the remainder claimed that the appellees encouraged the king to take military action against his loyal lords and especially the three senior lords appellant. It should be noted, however, that not everybody appeared in every article. Unfortunately, four of the appellees were absent when the trials began. De Vere, de la Pole and Neville were beyond the jurisdiction, and Tresilian was in hiding. Only Nicholas Brembre was in custody at the start. The king and the lords appellant had already agreed that parliament would hear the appeal. Parliament was by 1388, well established as the proper tribunal for state trials; similarly, the judicial function of the parliamentary lords was well recognised. It is not unreasonable, therefore, to assume that by instituting proceedings by way of an appeal, the lords appellant envisaged a trial conducted under common law rules. However, there was a serious objection to continuing against the absent appellees under the common law, since in that jurisdiction they could not be condemned in their absence. Given the obvious political dimension to these proceedings, it would be naïve to think that the lords appellant could withdraw their appeal and expect to survive the outcome. Parliament’s political imperative was to condemn and execute the main appellees as quickly as possible. That being so, and on the king’s behalf, the lords appellant asked a panel of judges and lawyers how they should proceed. The judges and the other lawyers ducked the question; they merely confirmed what everybody already knew; namely, that this appeal was not according to the civil or the common law. Their actual reply is recorded in the Parliamentary Roll: “…[they] informed the said lords of parliament that they had seen and well understood the tenor of the said appeal and they said that the same appeal had not been made or affirmed in accordance with the procedure required by either [the civil or the common] law.” Much — perhaps overmuch — has been made of this reply and it is worth considering it in a little detail before judging its meaning and its importance. First, it is only legal advice; it does not have the force of law. Second, it is only relevant if one accepts the premise that parliament was legally bound by the relevant civil and/or common law. Third, it does not state that appeal proceedings before parliament were unlawful per se, nor should we infer that that is what they meant; it is merely alluding to a defect in this appeal viewed from the perspective of the existing civil and common law. Fourth, it is a cautious answer: the judges and other lawyers well understood that this was a politically loaded question (‘the tenor of the appeal’). It is inconceivable that they would knowingly commit themselves to recommending a particular course of action that might alienate either the king or the five most powerful subjects in the realm. They only had to consider the predicament of the judges who had denounced the Wonderful Parliament to see the danger of giving a ‘wrong’ opinion. Accordingly, their answer was as neutral as they could make it, so as not to offend anyone and to ensure that they could not be held responsible for what happened next. In other words the panel baulked at circumscribing the judicial power of the parliamentary lords or upsetting the king. The lords’ reaction to this legal opinion has received a mixed press. Nigel Saul described parliament’s subsequent pronouncement of its privileges and authority as ‘legal sleight of hand’, which implied that ‘parliament could make-up the rules up as it went along’. Chris Givern-Wilson suggested that the panel’s answer cast doubt on the legality of this appeal procedure, which he describes as ‘legally dubious at best’. Of course, these opinions are only sustainable if one accepts the premise that parliament as a court of law was inferior to the courts of civil and common law, and therefore bound by their procedure and law. Stanley Chrimes takes a more ‘constitutional’ line; he described parliaments declaration as the first ‘ explicit theory of parliament as the king’s high court’. On any view, parliament can scarcely have ever made a more assertive or categorical assertion of its own rights and privileges, and its judicial primacy as the superior English court of justice. It might be useful at this point to reflect on what parliament actually said and did. “…in the case of so high a crime as that alleged in this appeal, which touched the person of the king and the estate of his kingdom perpetrated by persons who are peers of the realm and others, the case should be conducted nowhere other than in parliament, not by any other law than the law and usages of parliament and to their franchise and liberty of the ancient custom of parliament to be judges in such a case with the assent of the king. And that (being) so, it will be done in this instance by decision of parliament because the kingdom of England was never in the past, nor by the will of the king our said lord and the lords of parliament ever would be ruled or governed by the civil law; and also it is their intention not to rule or govern so high a case as this appeal, which will neither be tried or determined elsewhere than in parliament, as was said by the course, process and procedure practiced in any lower court or place within the same kingdom, which courts and places are not executors of the ancient laws and customs of the kingdom and the ordinances and decrees of parliament. And the same lords of parliament were advised by the assent of the king our said lord, that this appeal should be made and affirmed well and duly and the process would be good and effectual according to the laws and course of parliament and thus they should decide and adjudge it” ” Personally, I cannot detect any impropriety in this assertion. Far from being ‘legal sleight of hand’, their pronouncement is an eloquent exposition of parliament’s judicial and jurisdictional status then and now, which provided a legal foundation for the future development of parliamentary law and procedures. Nonetheless, it is true that there was an element of trial and error in the conduct of these proceedings. It was a novel situation for which, as yet, parliament had neither a settled law nor a settled procedure. In the wider interests of justice, the absent appellees could not be allowed evade their trial by absconding, since that bought the rule of law into disrepute. Parliament therefore adopted a hybrid procedure borrowed from the civil law. The appellees were summoned to appear for their trial on three separate days; when they failed to appear after the third summons, their default was noted and the lords proceeded to judgement. According to the Parliamentary Roll, the lords approached their task with “great pains and diligence”. They examined the thirty-nine articles over the course of several days and after “a good and thorough discussion” declared that fourteen of the thirty-nine articles were treason. Thereafter by “ due examination and by evidence and information by which they could anyway inform themselves”, they found the four defendants guilty on all the charges, including those not declared as treason. On the basis of this formal account the parliamentary lords appear to have discharged their judicial duties responsibly and properly. However, some historians doubt the completeness of this account and they may have a point. The official version will undoubtedly have been sanitised for public consumption. Considering the magnitude of what the lords appellant were undertaking and their control over the proceedings, they are unlikely to have allowed it to include any error or controversial material which is pejorative to the justice and correctness of these proceedings. However, there are some independent chronicles that enable us to construct a fuller narrative of events and the quality of justice dispensed. I shall come to back to this point after I have addressed the parliamentary declaration of treason. The Treason Act of 1351 abolished common law treason. From January 1352, English law only recognised two types of offence as treason i), those defined as treason in the Act and ii) offences declared as non-statutory treason by parliament. While we cannot doubt parliament’s discretion to declare these articles as treason, a question mark remains about whether they exercised that power properly. The legislation does not fetter their discretion, nor do we know of any regulations or guidance governing the exercise of their discretion. As far as we know, it was entirely a matter for parliament to declare what is or is not treason, as they thought fit. It is also important to bear in mind that at this stage, the lords were simply determining the nature of the offences. They were not determining guilt or innocence. Nevertheless, as judges, the lords had a judicial responsibility to make a decision based on the evidence and the relevant law. Since there was no prospect of appealing parliaments decision, even if they got the facts or the law, or both, wrong, it is of academic interest to consider whether they acted properly. That having been said there is no evidence that they got the law wrong in this case. We do not know what they said in their deliberations but it is possible to construct a working hypothesis of their reasoning and the factors that influenced their decision. For example, we can deduce from the fact that less than half of the articles were declared treason that they discriminated between the different offences. Furthermore, it is clear from their judgement that they distinguished offences of pure accroachment (not treason) from those with aggravating features (treason). The aggravating features that appear in most of the fourteen treasonable offences are: the appellees attempts to get the king to use armed force against the lords appellant; the appellees encouragement of Londoners to attack and kill the lords appellant; and by raising forces themselves, to destroy the lords appellant and the ‘king’s other of loyal lieges’. In the lords’ judgement these were the offences that most injured the king and his kingdom. They also considered that the appellees evil counsel was responsible for England’s unpreparedness for the threatened French invasion. Last, they thought that de Vere’s attempt to persuade Richard to make him king of Ireland, was to the prejudice of the kings’ allegiance from Ireland and therefore treason. The parliamentary lords (and the lords appellant) were probably aware of the precedent set by the accusations against the Despenser in 1326. The father and his son were charged with accroaching royal authority and executed. The younger Despenser’s main offence was accroaching the royal authority by seeking advice from the king’s lawyers on how to best to prosecute Thomas earl of Lancaster for treason. The aggravating feature that made the offence treason was that he arraigned and convicted Lancaster ‘on the king’s record’ and (ultimately) had him executed. As Lancaster was of royal blood, his execution without the king’s licence was a step too far. The allegation of accroachment was added to supplement the substantive treason. Professor Bellamy emphasises the wider significance of this very point. He has researched the relevant common law cases: “ A close inspection reveals that in fact the word’s ‘accroaching’ the royal power were used in the majority of instances merely to describe an accepted treason or felony and to afforce (sic) the gravity of the offence. In two cases only was there a danger of treason and accroaching the royal power being drawn together and confused. After the statute the practice ceased altogether. There has never been a case before the courts of common law wherein a man was sentenced for ‘accroaching the royal power’ by committing a crime which was not a felony or treason. It could not stand by itself.” And there was also the example of Roger Mortimer’s treason trial in 1330. Based on Bellamy’s research and the Despenser precedent, and if my hypothesis is correct, there would appear to be little cause for concern about the lords’ understanding to the law as it was in the fourteenth, or their reasoning. Nevertheless, treason trials cannot be viewed in a legal vacuum. Political rivalry was the driving force of state treason trials during the fourteenth and the fifteenth centuries, especially during the reigns of dysfunctional monarchs. This was a political trial and frankly the outcome was pretty much a foregone conclusion. The law was only able provide a cloak of legitimacy for the purge of king Richard’s administration. The Westminster Chronicler’s narrative is detailed and colourful. On being produced, Brembre asked for legal representation: that was refused. He requested to see a copy of the charges: that was also refused. He tried to respond to the charges as they were put to him but he was told he could only plead ‘guilty’ or ‘not guilty’. At this point the king tried to intercede on Brembre’s behalf; however, he was shouted down when dozens of MP’s threw down their gages as proof of Brembre’s guilt. A sub-committee chaired by the duke of York was set up to consider the matter. Shortly thereafter, York reported the committee’s conclusion that Brembre had done nothing to warrant death; this enraged the lords appellant and almost bought Gloucester and York to blows. It was difficult to know how to proceed, so members of the city guilds most affected by Brembre’s activities were asked to pronounce his guilt; they could not do so and were dismissed peremptorily. Eventually, the Mayor and the Recorder of London agreed when pressed that Brembre may have been ‘more aware than innocent’ of the treasons perpetrated by the other appellees. On these very thin grounds, Brembre was adjudged guilty of concealing treason. He was drawn and hanged the same day. Even though, Brembre’s trial could not be considered fair in any century, the procedures adopted in 1388 were not unprecedented at the time. The refusal to allow him legal representation followed precedents set in state trials in 1376 and 1377 , and in 1381 when parliament decreed that defence counsel was not permitted in treason trials. Neither was it unusual for the accused to be denied a copy of the charges in writing. It is true there was no consistency an arraignment. Some men were allowed to plead to the charges and offer there defence; others, like Brembre were simply required to plead guilty or not guilty. The condemnation of men unheard was not popular. Public opinion was in favour of allowing suspect traitors to answer the charges. In 1399, the commons in parliament petitioned that anybody accused of treason should not be condemned unheard. Henry IV did not consent to the petition. Nicholas Brembre’s execution marked the end of the appeal proceedings, but not the end of the trials, or of the king’s humiliation. On the 2 March, the commons began impeachment proceedings against thirteen of his officials implicated in the appellees treasons. The impeachments began with the six judges who had denounced the work of the Wonderful Parliament. The king’s justices Robert Bealknap, Roger Fulthorpe, John Holt, William Burgh and John Carey together with John Lockton, sergeant–at-law, were charged that in response to the questions put to them on the law, they gave the king false answers that were not according to the law, and which gave ‘boldness and hardihood’ to the appellees. They were also charged with concealing their knowledge of the appellees treason. The justices’ defence that their answers were given under duress availed them little, since on the 6 March the lords adjudged them guilty of treason. They were sentenced to death, which was later commuted to life exile. Last, four knights of the king’s household were impeached on sixteen articles for their involvement in the appellees conspiracy. In broad terms their offences amounted to accroachment. The offences were declared treason and on the 5 March, Simon Burley, John Beauchamp, John Salisbury and James Berners were all convicted. And executed. It was the execution of Simon Burley that caused the king most anguish, since he was an old and faithful family retainer. He had served the king’s father and as Richard’s mentor. Both the king and the queen (in tears and on her knees apparently) begged for Burley’s life. Normally the grace of the king was sufficient to redeem a traitor’s life, but not in this time. The lords and the commons were obdurate: Burley must die. The only mercy shown to him was that he was granted a quick death by beheading. It was the most obvious and public humiliation for Richard. By the end of the parliament, Richard’s authority counted for nothing and his prestige for even less. He was forced to acknowledge the limitations of his vision of kingship. It was a severe lesson that made him compliant for the next six or seven years: he had no choice. However, the political wheel turned in his favour. By the mid 1390’s, his confidence and authority were restored. Moreover, he acquired a personal military force capable of enforcing his will. Within a decade of the Merciless Parliament Richard moved to destroy Gloucester, Warwick and Arundel in his own ‘Revenge Parliament’ of 1397. Not only that, but in 1398 Mowbray and Derby fell out and were exiled Unfortunately, Richard mistook revenge for kingship; before the century was out, he had been deposed as ‘useless and unfit to rule’, and replaced by a Lancastrian king. The Treason Act 1351 (25 Edw. 3 Stat. 5 c.2): the ‘Great Treason Act’ is still the law today. It has been expanded, and modern law has replaced some of its medieval provisions; nonetheless, the Act itself has never been repealed and is as relevant today as it was six hundred and fifty years ago. See also JG Bellamy –The Law of Treason in England in the Later Middle Ages (Cambridge 1970) pp. 59-62 and 98-104; and Chris Given-Wilson (Gen Ed) – The Parliamentary Rolls of Medieval England (Boydell Press 2005): Volume 5, Mark Ormrod (Ed) pp.35, 44 for the medieval definition of treason. Richard II passed his own Treason Act in 1381 (5 Ric.2 c.6), which extended the scope of treason in response to the Peasants’ Revolt. Parliament needed convincing that the taxation previously granted was being well spent in the defence of the realm. Instead of addressing parliament’s concern Suffolk announced the king’s plan for leading an expedition to France; he asked for a ‘substantial grant’ but declined formally to say how much was needed. However, he ‘let slip’ a figure of four fifteenths and tenths, which was double the normal grant. The result was uproar! Saul pp.176-180: all three lords had cause to resent Richard’s court. Their influence within the government had diminished, particularly their warlike policy towards France, which the king had disregarded. Furthermore they harboured personal grievances against Richard for furthering the aspirations his personal favourites at their expense. Saul at p157; Suffolk’s sins were of omission and commission. He omitted to use the taxation previously granted by parliament wisely for the defence of the realm, or to do anything about implementing the commission of government. His sins of commission were various; for example, he purchased lands and sources of royal income “contrary to his oath and greatly in excess of his deserts”. There were other peculations specified in the indictment preferred against him. Suffolk pleaded the collective responsibility of the council in respect of his omissions and was acquitted. He was however, convicted on three counts of peculation, and imprisoned and fined. Saul at pp.157-164; Bennett at pp.27-28 (Citing Knighton at pp.353-388) and PROME, Vol 7, P32 (citing Knighton, ibid; St Alban’s Chronicle at pp.786-806; the Eulogium Historiarum at pp. 359-360 and the Westminster Chronicles pp. 166-186) all provide an account of the ‘Wonderful Parliament’. Gloucester and the bishop of Ely reminded the king that if he absented himself from parliament for forty days without good reason the members could disperse to their homes without granting the taxation he required. They pointed out to him the foolishness of carrying out his threat to seek aid from the king of France against his own subjects, since France was England’s greatest enemy and generations of Englishmen had fought and given their lives against France. It was, they said, the intolerable burden of taxation and the government’s incompetence that had bought matters to a head. Finally, Ely reminded him of ‘an ancient law’ whereby if the king alienated his people and did not keep the law of the land the people might replace him with another of the royal line. It was this allusion to the fate of Edward II that caused Richard to back down. See Saul at pp.173-175 for an analysis of the origin and nature of the ten questions put to the judges; see also PROME Vol 7, pp. 92-93 for their precise wording, including the judges’ answers. There is no satisfactory explanation for why two meetings were necessary (McKistay at p.448, n.2). Bellamy at p.112, and n.2; Bellamy provides an authoritative analysis of the judges construction of the law. The actions of the Wonderful Parliament amounted only to accroaching royal authority, a charge that was incapable of standing as treason by itself. In those treason trials where accroaching was alleged, it has always been as an additional count to a substantive treasonable offence such as, for example, compassing the king’s death and accroaching royal authority. Saul, ibid: it is not clear who leaked the information to Gloucester and his allies. The judges suggested that was the earl of Kent. However, the Westminster Chronicle (p.206) says it was the archbishop of Dublin. Saul at pp.189-190: citing BL, Harley MS360. See Bellamy at pp.23-54 for comprehensive case-by-case analysis of the origins of the English state trial in the thirteenth century. The trials of the Welsh rebels David ap Gruffydd (1283) and Rhys ap Maredudd (1292), and the trial of the Scottish nationalist William Wallace (1305) are the most famous examples of this type of trial. They were all heard by the English parliament as being the king’s high court and therefore possessing the gravitas and authority to try such serious offences of treason against the king’s royal person. By bringing the appeal before parliament, the lords appellant were following a well-trodden procedural path in accroaching cases. In 1330, Roger Mortimer and many of his retainers were indicted, tried and condemned by the lords in parliament for treason, which included allegations of ‘usurping royal power.’ The impeachment trials of 1376 were tried by parliament and in 1386 Suffolk had been tried and impeached by parliament. There is clear legal authority for a case of this type to be tried in parliament and for the judicial authority of the lords. R G Davies and J H Denton (Eds) – The English Parliament in the Middle Ages (Manchester 1999 edition) at pp.43-50 contains a summary of parliament’s development as a high court of justice in the fourteenth century; S B Chrimes – English Constitutional Ideas in the Fifteenth Century (Cambridge 1936) at p.71 also attests to parliaments enduring function as the ‘king’s high court’ from the outset. Nicholas Pronay and John Taylor – Parliamentary Texts in the Later Middle Ages (Oxford 1980) at pp.36-37; whilst acknowledging the lords’ judicial function, Pronay and Taylor note that parliament ‘as a whole’ was not predominately a court of law since the commons of parliament had no judicial powers. Saul, p.192, n.66 speculates about the judges and lawyers’ meaning. They cannot have meant that the appeal method did not belong to the common law per se since, as Saul points out, it was the standard procedure for instituting proceedings in the courts of common law. Furthermore, it is inconceivable that they were referring the fact that none of the charges met the statutory definition of treason since the judges and the other lawyers well knew that the Treason Act of 1352 conferred a statutory discretion on the lords in parliament to declare whether or not doubtful cases were tantamount to treason. Chrimes, ibid: although the word ‘court’ was rarely used before the 1380’s, parliament’s forms were those of a court/tribunal from the outset.
. The procedure of calling an absent defendant on three separate days is still used today. If he or she fails to appear on the third occasion, the trial can proceed in their absence. However, the prosecution still has to prove the defendant’s guilt to a jury with evidence that satisfies the criminal standard of proof (‘so that you are sure’, or ‘beyond a reasonable doubt’) before he or she can be convicted. In the parliament of 1351-52, it was recognised that offences might occur that seemed to be treason but which fell outside the statutory definition. In such cases, justices were not to proceed to judgment until they had referred the matter to parliament for a declaration whether the offence was treason or a felony. The procedure envisaged seems to have been that once parliament had made the declaration the case would be remitted to the lower court for a trial by a judge and jury on the facts. See Bellamy pp.180-81, citing Rezneck- Eng Hist Rev XLII, pp. 473-513) According to Rezneck’s research only one case followed this procedure between 1352 and 1500! The relevance of this case to parliament in 1388 is that Gloucester (like Lancaster in 1326) was a royal duke. ‘On the kings record’ means on the word of the king without any corroborating evidence. It applied to treasons that were actually witnessed by the king. In such cases English law presumed the king’s word to be the perfect evidence as it was above reproach and nothing else was needed to convict the accused. The trial was interrupted on the 19 February by the sentencing and execution of Robert Tresilian who had been seized from sanctuary in Westminster Abbey and bought before parliament.